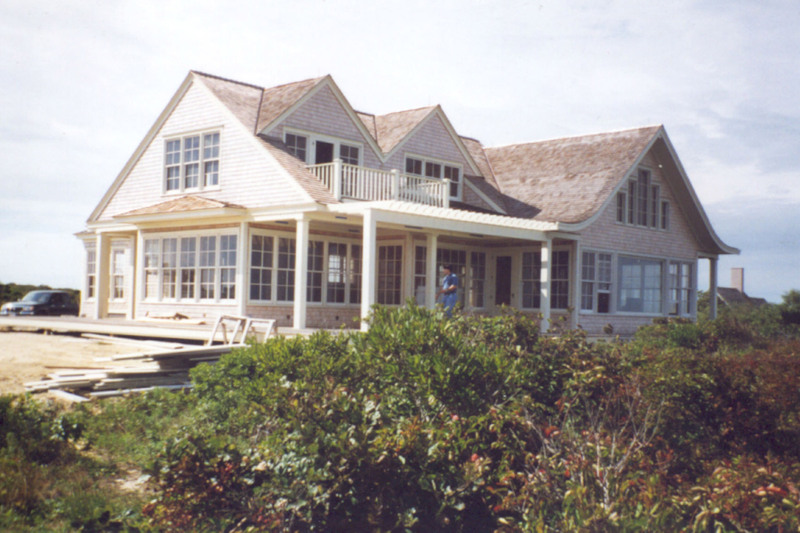 For years Bernard Chiu and his family have looked forward to creating a special summer home on the coast of Nantucket Island. 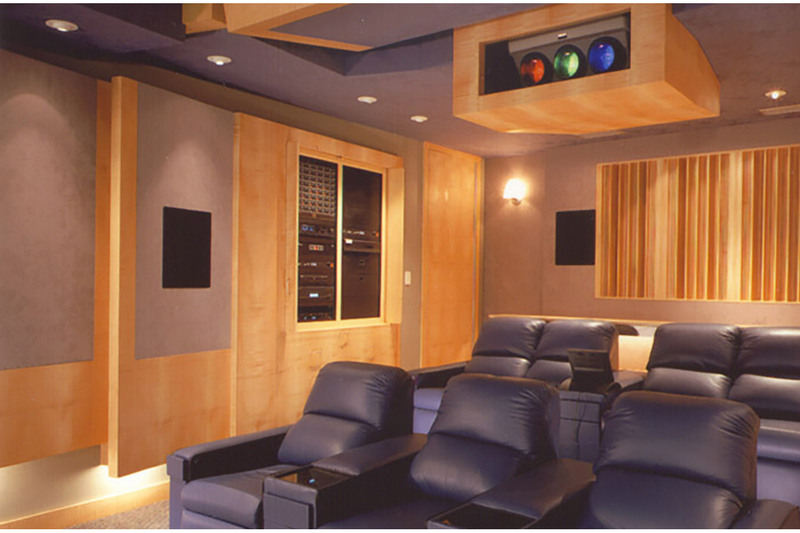 Recently completed, this home now includes a dedicated home theater, employing state of the art audio / video technology with professional audio room acoustics. This is consistent with the convergence of the professional media production and home theater industries. 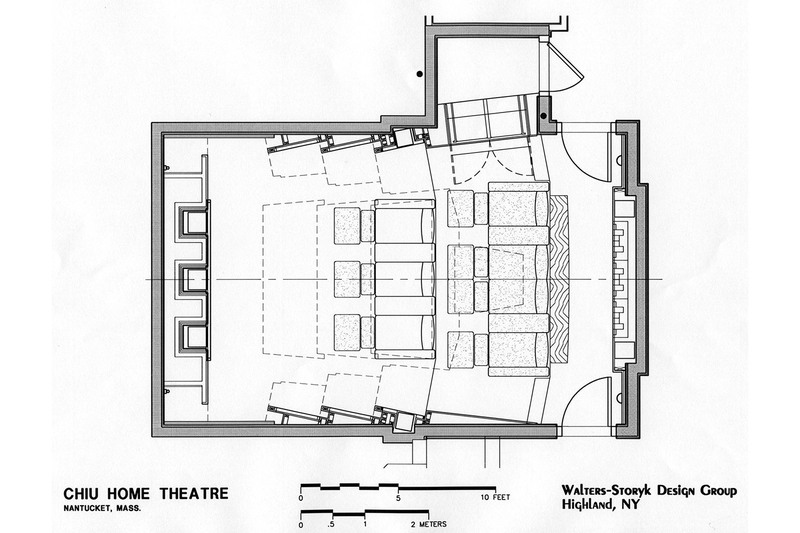 The theatre is created in a dedicated basement of the 4500 s.f. main residence. Acoustic isolation from the rest of the home is of paramount importance. The room accommodates up to 8 people in full sized executive seating and incorporates state of the art video projection, surround sound audio and touch panel input/output source control. 7 executive theater seats. There is room for an additional 8 people both in front and back of these fixed seats. Full controlled and dimmerable lighting system. Use of natural woods to compliment dark fabrics. Full symmetry throughout the room (front to back) for enhanced surround audio performance. Equipment is housed in a separate machine room that has front user access within the room. 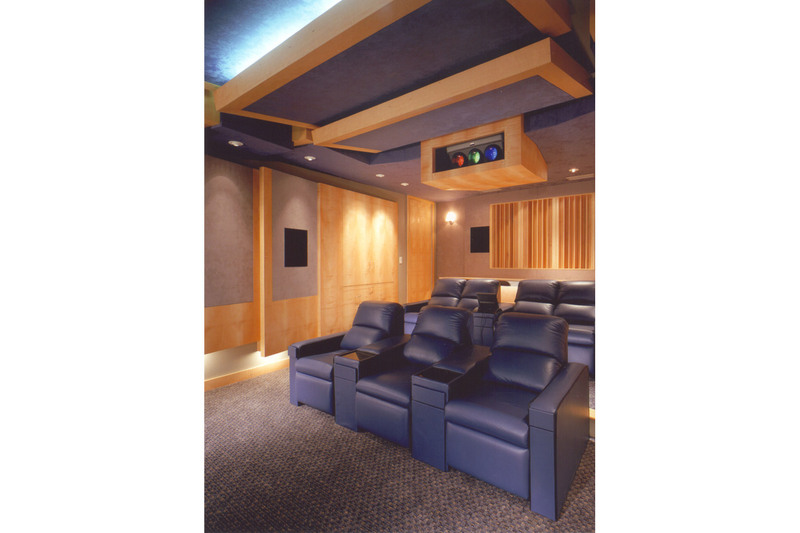 The acoustic challenge for this small high performance listening space is acoustic isolation and full frequency response control. Isolation has been obtained with full “room within construction” created with individual masonry walls and a separate roof / ceiling construction. 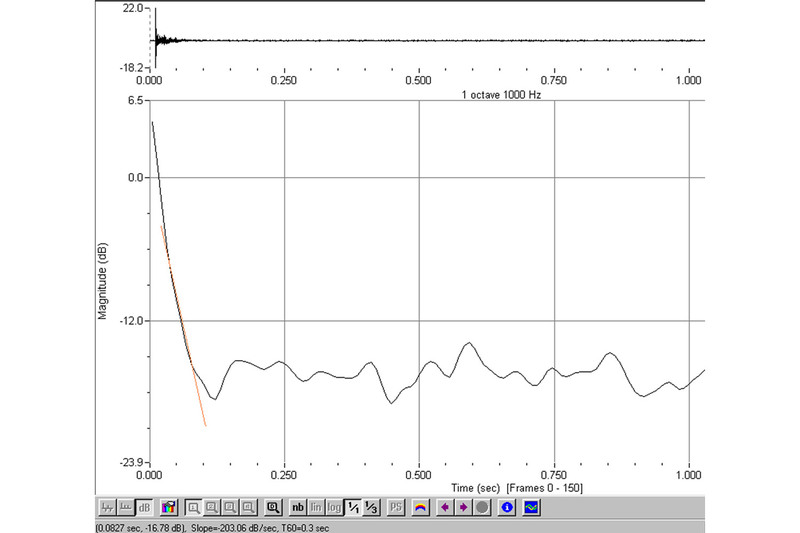 Room to room STC (sound transmission class) value of 64 was obtained between the theater and the residence spaces above. Frequency control was primarily obtained with symmetrical reflection control and the use of prefabricated low frequency absorption panels, placed in strategic locations within the splayed side walls and fabric covered ceiling.